The deployment of Nutanix solutions has helped the company save 10 times in capital expenditures without reducing application availability/up-time. The move to Nutanix has helped reduce data center infrastructure complexity, allowed the team to stay lean during times of considerable business growth, and increased the agility of IT staff. Valpak has 85 IT employees, most of whom are based within or near its St. Petersburg, Florida, headquarters. The events that ultimately led to the deployment of Nutanix solutions can be tied back to Valpak's acquisition of Savings.com. Valpak's IT department needed to support this newly acquired business but wanted to ensure it kept IT staff lean. Thus, the department looked for ways to reduce the amount of time spent on day-to-day operations around storage (e.g., LUN masking and provisioning). The team came to the conclusion that a SAN-based shared storage system with traditional management requirements was no longer a good fit for the company's current and future needs. The company had a desired goal of reducing complexity throughout the IT department so that it could "all run a little more lean, and not just on the infrastructure side." There was a belief that SAN-based solutions would "tie up high-end talent" such that these resources couldn't be leveraged to help drive Valpak's changing business. Resiliency and cost were also important factors. Helping the infrastructure team become more nimble/agile to ensure that it could support a rapidly expanding business while remaining "lean"
The initial Nutanix deployment was a single cluster of 3 "Blocks," each containing 4 nodes (i.e., a 12-node cluster). This was deployed to support a mix of existing Valpak workloads and the workloads that needed to be migrated from the Savings.com acquisition. The company migrated Savings.com's workloads from a Los Angeles, California, data center to its St. Petersburg, Florida, data center with no interruptions. Workloads migrated included (but not were not limited to) web-based applications, MySQL databases, and Java applications. The migration allowed the company to reduce Savings.com's infrastructure from two racks of servers and storage down to 1 Nutanix "Block" with 4 nodes. Valpak has deployed 23 Nutanix nodes with a total of 120TB of raw storage capacity, 6TB of memory, and 800GHz of CPU. Nineteen of these nodes are deployed at its St. Petersburg, Florida, data center and 4 nodes are deployed at an Atlanta, Georgia, colocation facility to provide DR to its Savings.com applications. Included in these systems is an all-flash cluster built with Nutanix NX-9000. This cluster runs Valpak's most I/O-intensive, tier 1 databases and business analytics workloads. Reduced capital costs: The total capital costs of Valpak's Nutanix deployment were 10 times less than the costs of refreshing the company's existing SAN-based storage solution. Importantly, that comparison only takes storage hardware, storage networking, and storage software licenses (e.g., replication and dynamic tiering) into consideration. The ability to host Valpak's applications on the same Nutanix systems used for data management increased the savings beyond 10 times since it meant Valpak didn't need to refresh the hundreds of physical servers already in place. Data center footprint: The move to Nutanix solutions coincided with a separate, longer-term effort to virtualize as many workloads as possible. 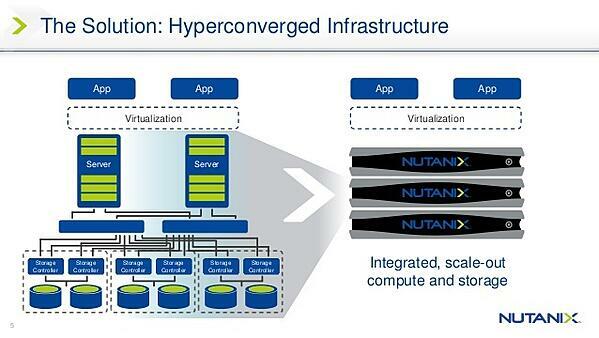 The company had virtualized about 65–70% of all workloads when it began evaluating Nutanix. Even with a high degree of server virtualization, the team had actually been rapidly increasing the number of physical servers in use to support business expansion. Moving to Nutanix and continued workload virtualization helped lower the server count and increase the utilization rates of the company's data center infrastructure. Today, about 90% of Valpak's workloads have been virtualized. Staff agility and efficiency: With the company expanding, the IT team was required to spend more time working with other business units to help support and prepare for growth. Prior to migrating to Nutanix, there were discussions about hiring one or two people to support storage management requirements and free up key members of the team to support business expansion. The move to Nutanix removed the need to bring in new hires by eliminating, simplifying, and automating many of the time-consuming tasks required with the company's previous SAN-based storage solution. Indeed, the company has gone from 80 to 160 hours of traditional SAN management per month to just 2 to 4 hours a month with Nutanix. Far less time is spent on tasks like building new systems, provisioning storage, and documenting important aspects of the SAN environment (e.g., WWNs and firmware revisions). The time it takes to deploy new physical systems, for example, has been reduced from 4 to 6 weeks to less than 4 hours with Nutanix. The amount of effort to provision existing storage has also been dramatically reduced and, in some cases, completely offloaded to the application owners. Rather than responding to a request for capacity by asking a long list of questions to determine which storage resources were needed, the Nutanix solution provides a self-service capability that allows the application owners to serve their own storage capacity from the available Nutanix-based resources. Benefits of hyperconverged solutions tend to stem from four common improvement principles: eliminate, simplify, standardize, and automate. A key characteristic of hyperconverged systems that differentiates them from traditional converged infrastructure is their ability to provide all compute, storage, and networking functionalities through the same server base or nodes. These nodes are usually deployed as clusters with three or more nodes per cluster, though some solutions do support two-node clusters. Each node within a cluster contributes all of its resources to an abstracted pool of capacity, memory, and compute resources. This pool of virtualized resources provides the foundation for all server-centric workloads (e.g., VM, hypervisor, and applications) as well as storage-centric workloads (e.g., data persistence, data management, replication, snapshots, and deduplication). intlx Solutions is a Nutanix partner.